The professional team at Oldencraig have many years of experience and success in breaking in young horses, whatever their intended discipline. We appreciate that each horse is unique and responds differently to this initial stage of their education so we are adaptable in our approach; this ensures that the horses we produce are happy, confident and relaxed. 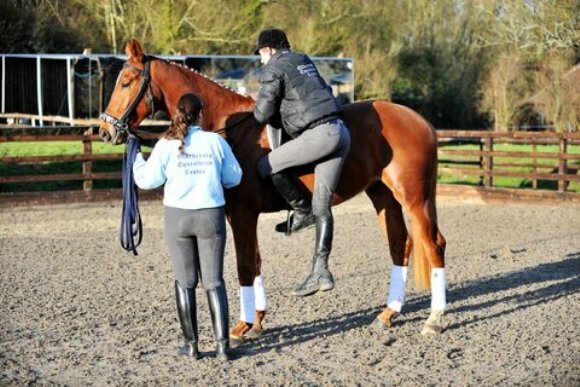 We offer a breaking and training service which will progress your horse to the level of education that you require. We will develop a programme, in consultation with yourself, which will balance work days with rest days to ensure the ongoing physical and mental fitness of your horse. At an appropriate point in the initial stages of training, the programme will incorporate the introduction to trotting poles, cross poles and to hacking out. 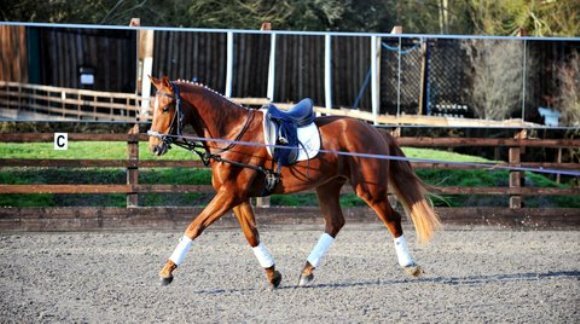 As part of the overall process, your horse will be worked in different arenas and on different surfaces. Oldencraig can also assist if you require your horse to be introduced to loading either into a horsebox and/or trailer. Breaking livery includes the complete care of your horse and the supervision, if necessary, of visits from your veterinary and any other equine professionals that you may wish to attend to your horse. The Yard Manager will keep you fully informed of progress and you are welcome to attend and be fully involved.